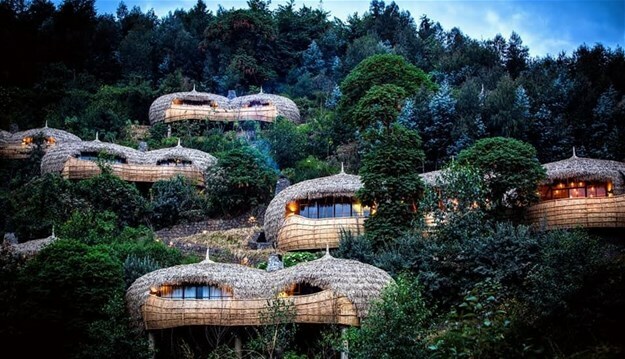 Safari camp, Bisate Lodge in Rwanda has been named the winner of 'Most Innovative New Venue' design in the 2018 Vision Style Awards. The awards are aimed at rewarding and recognising excellence in the interior design of hotels, restaurants, spas and bars around the world. The awards are run by global textiles giant Vision Support Services. Comprising of six forest villas, Bisate Lodge, situated next to Rwanda’s volcanoes national park is a first of its kind eco-sensitive camp. The judges deliberated over three finalists, from each of the seven categories, in order to crown their final seven winners. The full list of the winners can be viewed here.